4G Ranch Supply is the destination for ranch and farm supply in Moorcroft, WY. We bring our customers high-quality livestock equipment and supplies, tack and feed, fencing materials and Western apparel—all from the best brands at the best prices. We aim to deliver a superior customer experienced, tailored to your needs. Visit us today and let us help you find what you’re looking for. When it comes to caring for your livestock and getting work done on your ranch, it pays to have a single supplier who can bring you everything you need. 4G Ranch Supply aims to be your partner! 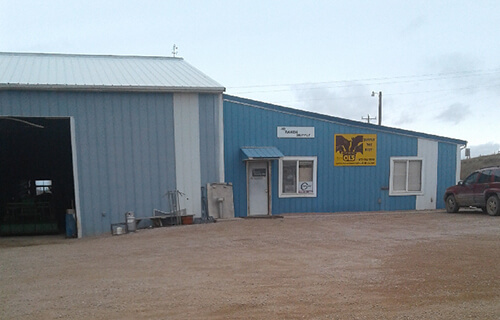 We pride ourselves in being a complete farm supply store in Moorcroft, WY, bringing our customers everything from tack and feed, to fencing supplies and livestock equipment. We’re also the area’s largest dealer of Western apparel, ensuring you’re always outfitted with the right attire to work comfortably. Whether you need livestock medicine, are picking up feed or need help selecting a new hay feeder, you can count on us to help you make a choice you can be confident in. Our mission is simple: Bring our customers the best selection of products, at the lowest prices. As the local leader in farm and ranch supply in Moorcroft, WY, we’re also extremely knowledgeable about everything we sell and more than happy to make recommendations for our customers. Shop for the product you need or by a brand you trust—either way, we’ve got what you’re looking for! And, if we don’t stock your item in-store, we can order it special for you. We bring you the ultimate convenience of being able to stop at one place for ranch and farm supply, getting the help you need from friendly professionals who are dedicated to your satisfaction. Stop on in today to stock up! We’re your one-stop shop for ranch and farm supply and the only supplier within 30 miles of Moorcroft, WY. Our business is family-owned and -operated, with values of integrity that ensure we offer the best products at the best prices. Our selection includes some of the best brands in tack and feed, as well as Western apparel. We’re the Northeast’s largest dealer for Cowgirl Tuff women’s apparel. We offer personalized service and can make recommendations based on your needs. And, if we don’t have what you need, we can order it special for you. Our staff is knowledgeable about everything we sell and we’re proud to have an expansive inventory that includes tack, feed, apparel and general ranch supplies. If you need ranch supplies, we’ve got you covered. Stop by our store today to get personalized service from our expert staff. We’ll get you the products you need, so you can get to work.